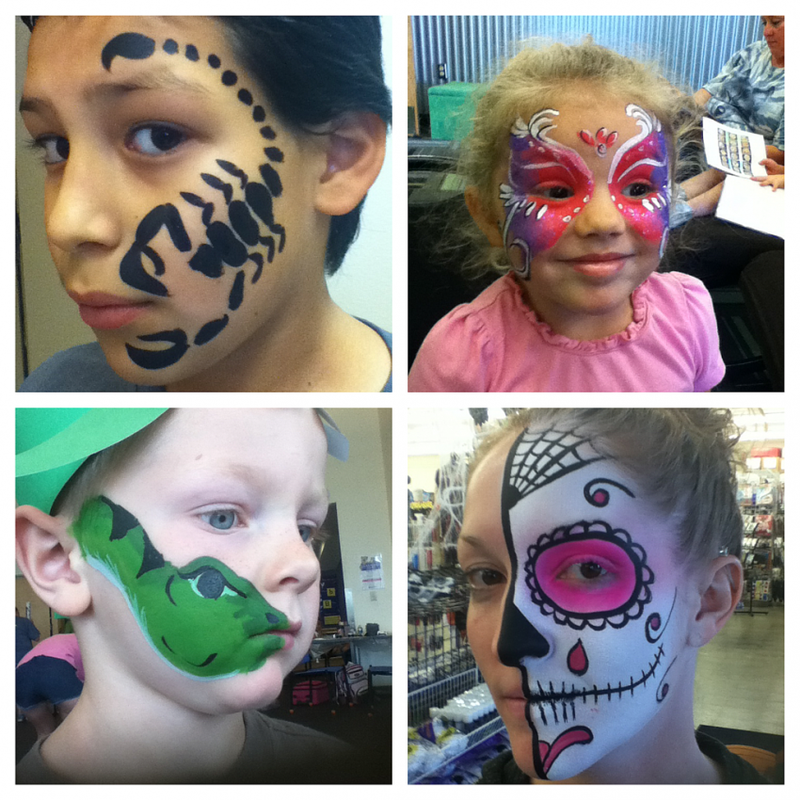 Whether a birthday party, pool party or grand opening, Cross Eyed Designs Face Painting & Temporary Body Art is ready to add a DASH of COLOR to your event. We are Part-time painters offering Professional Results using cosmetic grade colors and glitters to create unique works of temporary face & body art! Our team of painters are ready for any kind of event. 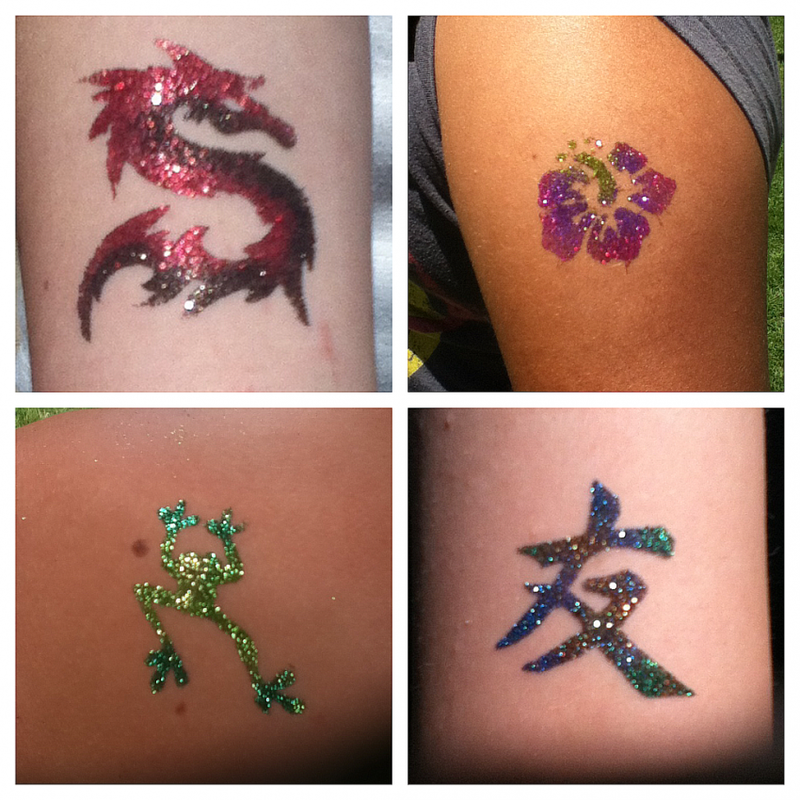 Our specialty is hand brush painting, customizable GlitterToos and we have recently incorporated airbrush tattoos using a multi-gun airbrush system with hundreds of stencils to choose from. We are now Cheyenne and the surrounding areas ONLY full service painting business with a service to meet your specific need. We tailor our services to you needs, and can even tailor our designs to your theme. 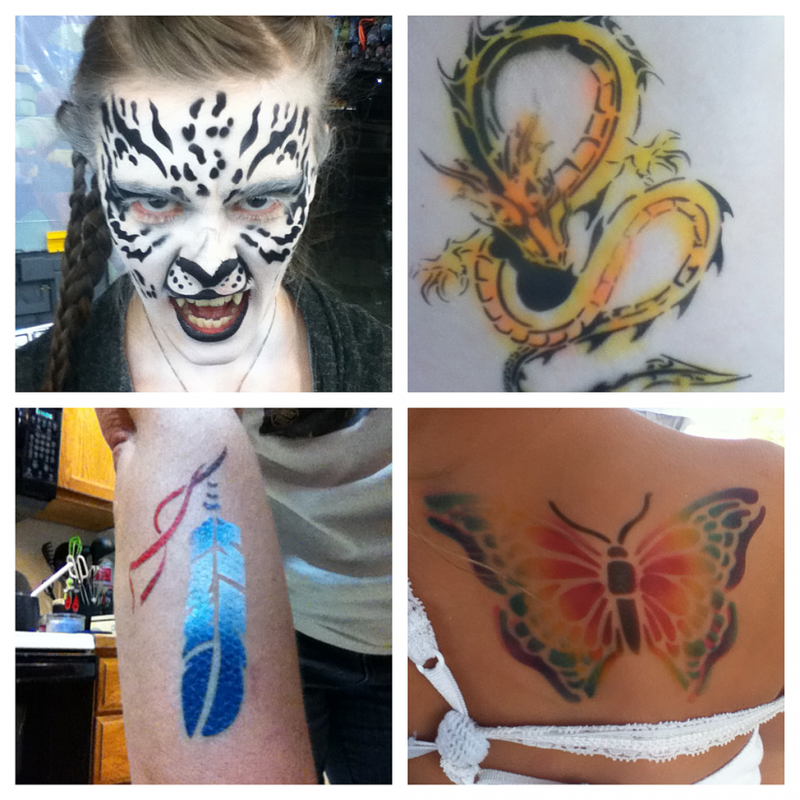 We create unique face and body art using paint, glitter or even air depending on the service you choose. Our Designers will add a color to your event in a fun and creative way participants will enjoy and remember. Cross Eyed Designs is 2 friends out to spread a DASH of color across Cheyenne and the surrounding area. We are Part Time Painters, but offer Professional Results. We use only cosmetic grade, skin safe products to form unique custom designs that can last a day or a couple weeks, depending on the service you choose. While this does not guarantee an absence of allergic reactions, they have been - in our experience - extremely rare and clients can be assured that materials used are safe and no-toxic according to the FDA standards for cosmetics. Contact us to see which service best fits your needs. Tables, chairs and shelter from the elements are among the most basic needs. The location and services chosen will determine any other conditions or equipment needed.